I am so far behind with our cruise photos so need to start getting up to date. In July 2012 we went to the Scandinavian countries of Norway, Sweden and Denmark. Our first stop on the way there was Brugges in Belgium. The Cyclists is one of a group of four statues and fountains near the Concert Hall at t'Zand in Brugges. The Bathing Ladies is another group. 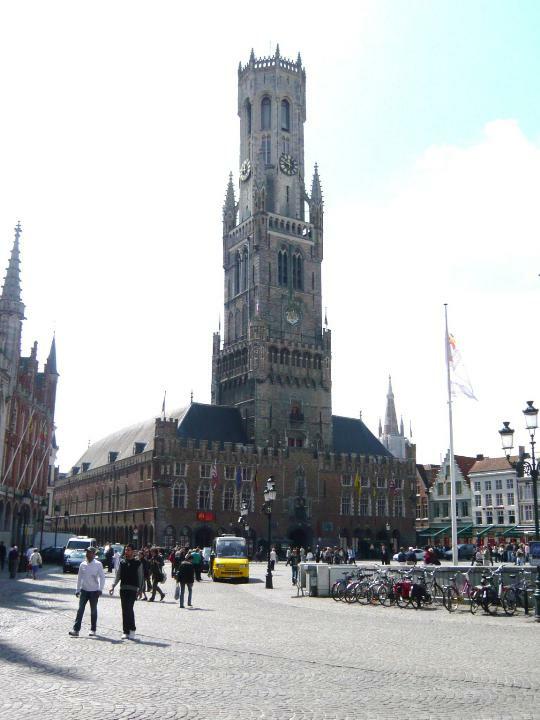 Brugges is a lovely old medieval town with canals running through it and is often known as the Venice of the North. 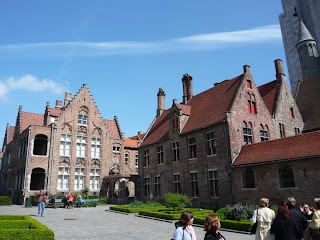 The Beguinage where unmarried and widowed women went for a life of religious devotion without the vows of the nuns. 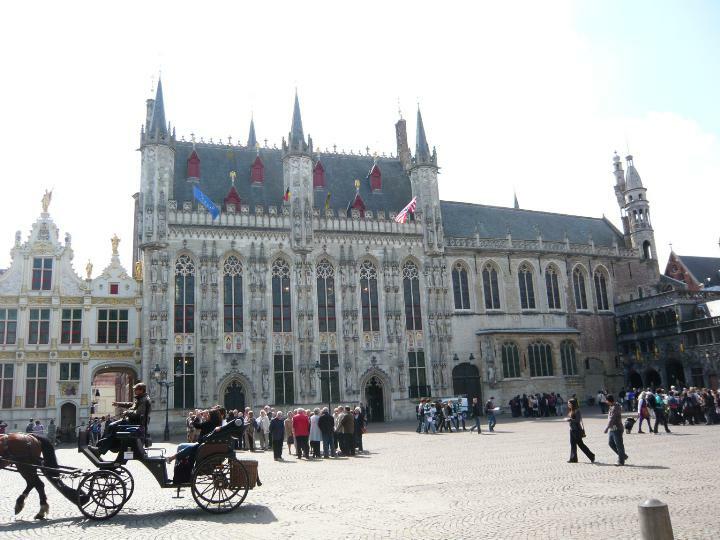 The Grote Markt (Market Square). 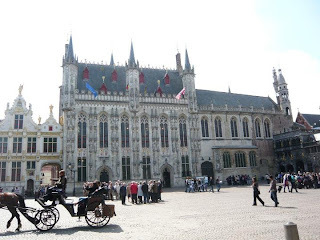 Brugges is also known for it's horse draw carriages and there are strict rules for the horses to be fed and watered regularly. This drinking trough is in the Square where most of the rides start from. They also have statues of the four horsemen of the Apocalypse. It is not very clear so here is a close up of one of them. 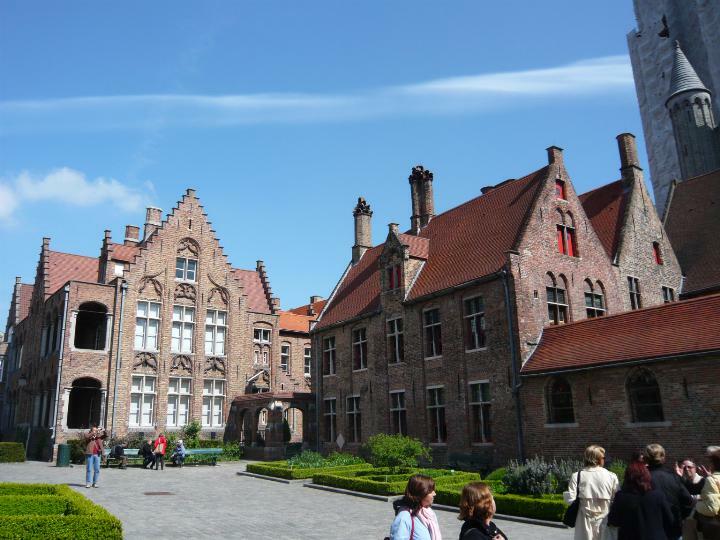 Some flowers before we leave Brugges and head for Copenhagen.